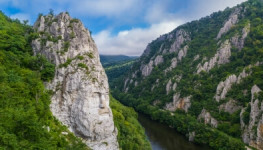 Romania is a very beautiful country in terms of tourism and that’s because it gives you the chance to enjoy such beautiful sights, even if you are limited by time and you have only one day available for a quick stroll. If you have in plan to visit Romania, then we have to tell you about a definitely “must do” in your checklist of places that you have to visit. We must tell you about Transfăgărășan, the unique and most special road in the land of ancient Wallachia. How to take advantage of Transfăgărășan in one day? 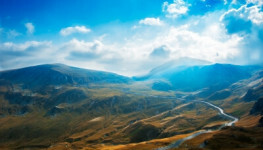 It’s not so easy to walk around such a beauty in just a few hours, but if you are roughly on time, you can manage to do a Transfagarașan in one day journey with a lot of beautiful things to see and some unique experiences to try. 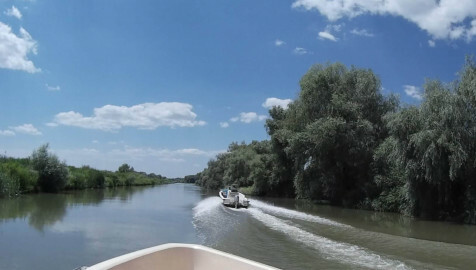 Here’s what you can enjoy in one day on a journey to Trasfăgărășan. 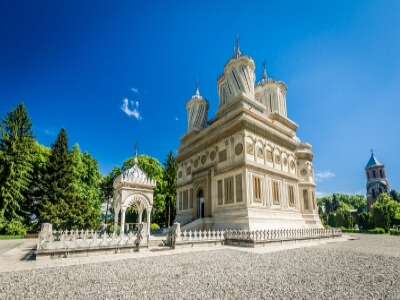 Before you even think to climb up and drive through the magical windings of this road, it’s a natural obligation for you to stop at the foot of Făgăraș Mountains and visit the most important pilgrimage place from the southern part of Romania, The Monastery Curtea de Argeș. Here you can join the locals and have a chat about so many legends the building process of this monastery. One of the legends tells us about the great bricklayer master Manole. The king Basarab I asked Manole to build the most beautiful monastery in Romania, so stately and beautiful that all the inhabitants could be proud of it. Manole began to build, but all that he built during the day, at night it went down and collapse. 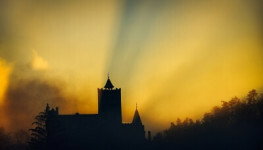 One night Manole dreamed that the first person who was coming near the walls when the Sun rises up to the sky next day must be fetched in the middle of the walls so the monastery never fall down again. The next day Manole comes to work and the first person who came close to the walls of the monastery was Ana, his pregnant wife. He came to bring food for her husband and all the workers. So the legend tells that Ana was built in the walls of this monastery, that’s why the place is stunningly beautiful. 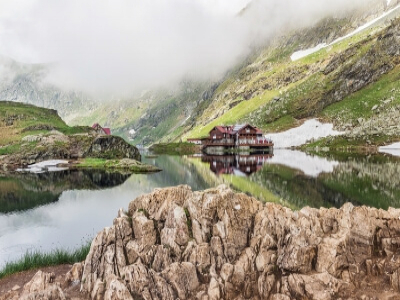 Another beautiful sight is Bâlea Lake, the maximum height point of Transfăgărășan road. Bâlea is a glacial lake located at an altitude of 2,040 meters, with a length of 360 meters, an area of ​​4.6 hectares and a depth of about 11 meters. 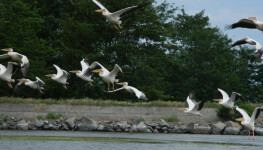 Near the lake you can visit several cottages, first built in 1904. Also, until you arrive at Bâlea lake you can observe the Bâlea waterfall too. It is situated between Moldoveanu and Negoiu peaks at over 1200 meters and has a fall of 60 meters, being the largest waterfall in increments in Romania. In this beautiful “Transfăgărașan in one day journey”, you can see the Vidraru dam and lake as well. 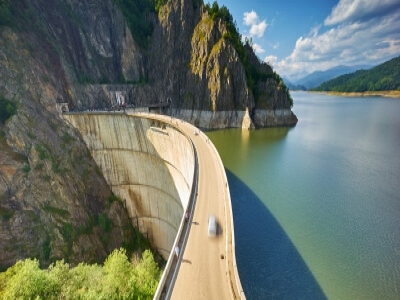 The dam is the highest dam in Romania, with a height of 166 meters and also the largest dam based on an arch in our country. At the inauguration, it was cataloged the 5th arch dam in Europe and 9th in the world. The pride of its constructors is the power plant, based in the underground of the massive Cetățuia, at a depth of 104 meters. If you are excited about extreme sports, from the dam you can practice bungee jumping. The Trasnfăgărașan road offers many other natural attractions and is perfect for mountain lovers, offering a great opportunity to drive slowly and admire all that fairytale landscapes. 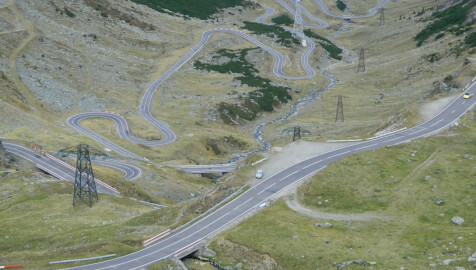 What are the main routes you can try for taking full advantage of Transfăgărășan in one day? Every one of those 3 directions has its beauty and worth visiting it. If you come from Bucharest, you can enjoy the Monastery of Curtea de Argeș that we talked about at the beginning. If you come from Brașov, you can visit Făgăraș city as well, and that’s a really winning situation, because Făgăraș is one of the most visited mountain resort in Romania, every year. From theese directions (Sibiu, Brașov) when you come close to the Transfăgărășan road you can visit Moldoveanu peak, too, which is the highest mountain peak that Romania has to offer. 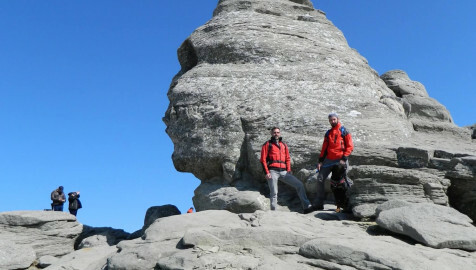 So, if you are ready to get hitched on the road and to visit this beauty and legendary part of Romania, this article is a great tip for what can you do on Transfăgărășan and how can you make it in one day, taking full advantage of one of the most famous road in Romania and even in Europe. The road measures 151 kilometers and it is linking Transylvania with Muntenia (Wallachia). It has 27 viaducts and bridges and a tunnel of 887 meters, the longest in the country, which crosses Păltinului Mountain. This tunnel has a height of 4.4 m, a width of 6 m and a sidewalk with a width of 1 m and it is electric lightened and naturally ventilated. 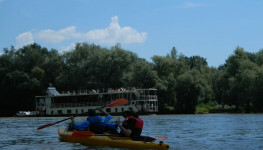 Therefore, there are a lot of touristic attractions to see in one day, but if you are in a hurry you can make all those routes in about 7 – 8 hours. 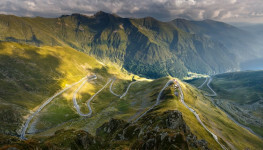 So you can go for it and enjoy one of the most beautiful zones in Europe – the road Transfăgărășan.